There are few animals that demand attention like a male lion. I like to think this drawing has two levels to it: the intense stare grabs your attention, and then when you get closer the detail in the fur becomes apparent. This detail was not my main goal when I started the drawing, but it just seemed right when I started to build it up gradually. 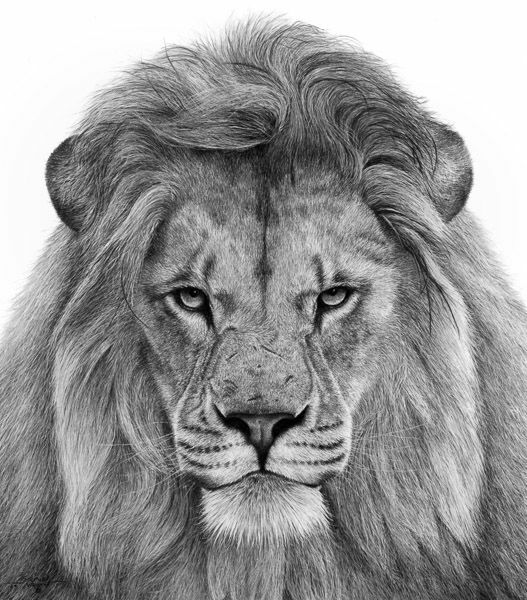 It took a long time, which I think has given the drawing the life experience the lion obviously has had.